“We call upon the international community to extend their solidarity towards the struggle of the working class movement in Swaziland,” noted various trade union organizations. A teachers’ union leader, Maxwell Musa Myeni, who resisted a gun-wielding police officer from firing at a meeting of teachers in Swaziland’s Manzini city has been arrested by the branch of the royal police called ‘Lukhozi’ on Sunday. The Communist Party of Swaziland (CPS), which is currently in exile as political parties are banned in the kingdom, said Maxwell had been picked up by six heavily armed members of the royal Lukhozi branch, who came in two white vans and bulldozed their way into his house at Lavumisa. On August 24, under the banner of The Swaziland National Association of Teachers (SNAT), the teachers meeting was demanding a pay rise to keep up with the increasing cost of living over the last two years. “In most instances, the police first fire tear gas to disperse protesters. But this time, things were different. The police did not even give a warning. They started firing the live bullets at the teachers,” said Njabulo Dlamini. The firing injured one teacher, Willie Dlamini, a teacher from Salesian High School, who suffered two bullet wounds. Dlamini, according to SNAT, is now hospitalized in a critical state. The chaos that followed in the crowd after the firing left many others injured. Teachers and workers had been protesting the increasing economic pressure on the people as the value-added tax (VAT) were increased from 14% this year to 15% and the government had refused to offer any salary adjustment for civil servants. The teachers are demanding for 6.55% Cost of Living Adjustment (COLA), based on the 2017 Consumer Price Index (CPI), which was at 5.5%, and also the economic growth, which was 1%. About 70% of the people of Swaziland survive on less than US$2 a day. Meanwhile, on August 27, a large group of protesters gathered in front of the Manzini regional Police Headquarters (central town in Swaziland) calling for the arrest of the gun-wielding policeman, Raphael “Sikheshekheshe” Maseko. They also demanded the release of Maxwell Musa Myeni, who is still held by the royal police without charge. According to information available, Maxwell has now been shifted from the Manzini regional Police Headquarters to the Sigodvweni police station, a location notorious for its torture centre. Lukhozi, the CPS claimed, is the King Mswati regime’s brutal force, known for its torture of prisoners who often end up dead. 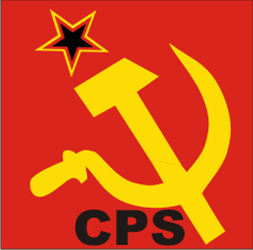 “Their focus is often on human rights activists, unionists, youth and student activists and members of political parties,” noted a press statement by CPS. Last month, on July 6, Swaziland’s police force launched a crackdown on workers who were demonstrating against the kingdom’s policies in the capital city of Mbabane. The workers were demanding an increase in the minimum wage from the current E600 (Swazi emalangeni) a month (for a skilled worker) to E3,500. The minimum wages were last raised in 2011. The worker’s protest, led by Trade Union Congress of Swaziland (TUCOSWA), also demanded an elderly pension of E1500. The recent police repression on teachers happened in the aftermath of the country going into the primary round of polls on August 25 under its Tinkhundla (administrative sub-division)-based electoral system. The national elections are scheduled to be held on September 21. The elections are considered a “sham” due to a lack of democratic process and the parliament mostly functions as a “puppet”, which endorses the decisions of Mswati III who rules Swaziland as an absolute monarch. The CPS had earlier called upon the working class in the country to boycott the election which was happening in the background of an increasing state crackdown on those seeking an end to monarchical rule and the revoking of the ban on political parties in the country.